As the weather cools down, the need for Drum Warming Ovens heats up. In warmer months, many plants have no problem keeping their drum's contents the proper consistency by simply storing them indoors. However, when winter comes knocking, drums arrive cold off of trucks, from unheated warehouses. These cold temperatures can cause the product in the drums to flow more slowly, making it a struggle to keep up with normal production goals. 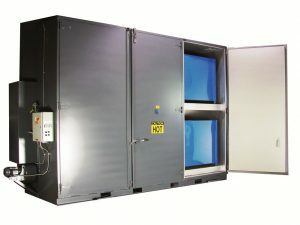 “We have a temperature controlled shop but we need our drums slightly warmer” is a comment that we hear all the time. 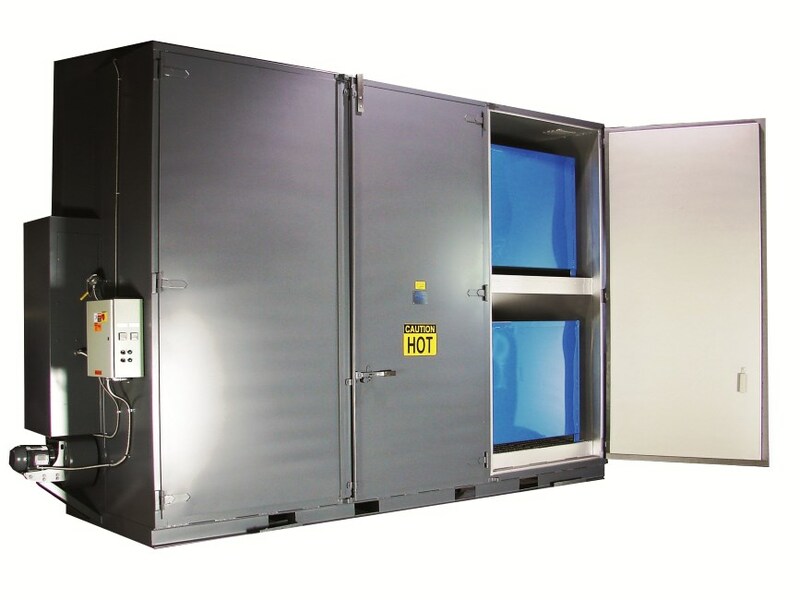 Our 'Hot Boxes' provide that extra boost of heat necessary to keep production flowing perfectly. Whether you need a little extra heat to keep a viscous material flowing or a lot of heat to melt a frozen drum, our Hot Boxes are the proven solution for such cold weather challenges. 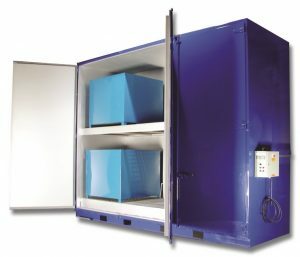 Our Drum Heaters (or Hot Boxes, as we call them) come in many standard sizes, allowing our customers to heat up to 32 drums (or 8 totes) at once. 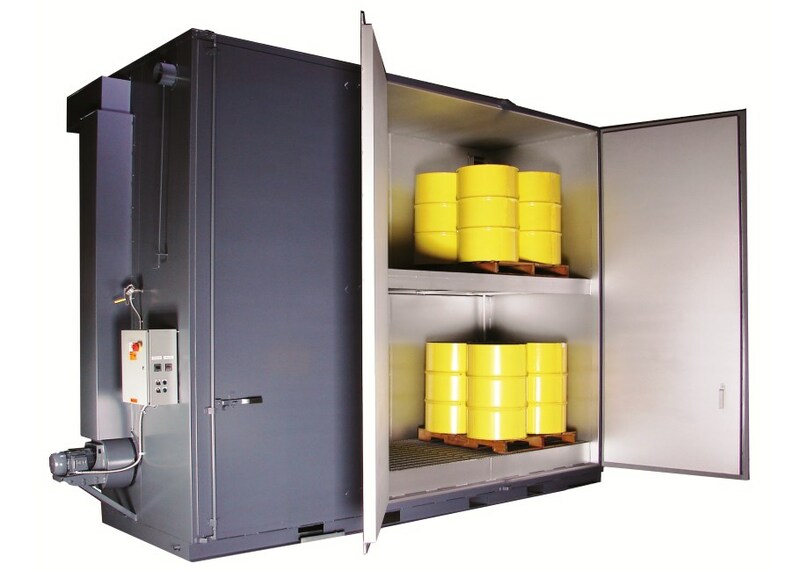 If you need to heat more than 32 drums at one time, simply provide us with your requirements, as we can build virtually any size industrial oven to suit your particular production targets. Reliability and Performance as our Pillars of Production. 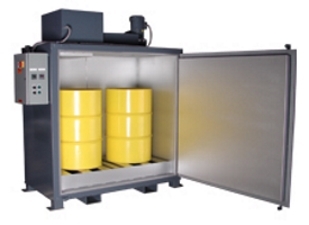 Contact us or get a free, no obligation Drum Oven quote today, by clicking the respective button below.